Prairie dogs love green grass. So when they move into an area, it’s the grass that attracts them until the grass is gone. They’re not flickertails, but close. Prairie dogs are like their famous cousins, the flickertails. Before the official nickname “Peace Garden State” was adopted in 1957, North Dakota was known as “The Flickertail State.” And while the nickname “flickertail” describes a related animal, the Richardson Ground Squirrel, we can’t help but apply that term to these rascals. A prairie dog pokes its head up over the surface. This video we shot is one reason people find them to be entertaining — they talk. As entertaining as they can be to occasional visitors, they have a controversial place in the eco-system. In fact, their tunnels are huge and can accommodate many animals. Their tunnels are about 5 feet deep. So, where you see one pop up its head, you can figure it’s standing on top of a maze of tunnels. A prairie dog stands upright. There is at least one private group trying to prevent the total eradication of prairie dogs – Wild Earth Guardians. There are some hero stories, legends and myths out there about prairie dogs. Some say that when wildfires threaten a bison herd, the big animals will stay ahead of the fire until they find shelter in a prairie dog town. The bare land doesn’t have enough fuel for a wildfire, so bison will stand in the middle of the scalped prairie; it’s a safe place to watch the fire go around. Several stories from indigenous tribes in the Western United States are about prairie dogs. Their “totem” or spiritual power is to said to be that of community, or of escape from the heat of the world. Indigenous people have many stories about prairie dog. They believe the animal reminds people to build communities, safe places where retreat from threat is possible. On the other side of the controversy are the real “keepers of the land: ranchers and farmers. They don’t think they’re so cute and friendly. Prairie dogs take the land out of production. That means if a farmer or rancher needs the land to produce food, he can’t use it. In some cases, own the land, but can’t do anything with it. There is no more grazing here for the rancher’s cattle to return to. The prairie dogs have scalped the ground like a lawn mower set too low. It will take years for any grass to return if it ever does. It’s easy to see why the render the land unproductive. One fall, we explored public land near the Maah Daah Hey trail in McKenzie County. We were just a half-mile or so east of the Little Missouri River. As we drove along the road, scoping out our starting point, we were startled to find the wasted landscape of a prairie dog town. Even the road was undermined by the critters. Prairie dogs have made at least two burrows in the driving lane of this road. Nearby is the land they have claimed for their own. The brush in the distance will fall to their destructive appetites. Their impact on the environment is obvious. We stood one foot in and one foot out of the scalped landscape created by prairie dogs. The brush in the distance will succumb to the prairie dogs in another season. The scraps of brush laying in the foreground is all that remains of the growth of sage. They are prolific breeding ground and carriers of fleas. If a dog wanders through a prairie dog town, chances are it will become infested with fleas. Years ago, my Australian Shepherded ran through a prairie dog town in northern Billings County. He came back crawling with the bugs. It took me weeks to conquer the infestation. From the North Dakota Century Code, a 1917 provision to help ranchers keep their grazing pasture away from prairie dogs. In the first half of the last century, prairie dog fleas made it into the human population and the plague swept through populations in Wyoming, Montana, and other states. Their thorough purge of everything green in their towns is the reasons why they are hated by landowners who are trying to maintain vegetation. Back on Feb 27, 1915, prairie dogs started showing up on old west wanted posters – wanted dead. Counties collected taxes to pay for eradication and even provided a bounty to prairie dog hunters. One of the biggest reasons to enjoy the North Dakota Badlands is the ecological teeter-totter that tips both ways in the region. Sometimes wildlife wins until disease thins the herd. Other times, the keepers of the land, farmer, and ranchers win, and we get to eat the product of their efforts. When you explore the North Dakota Badlands, what animals do you look for? Add your comment. 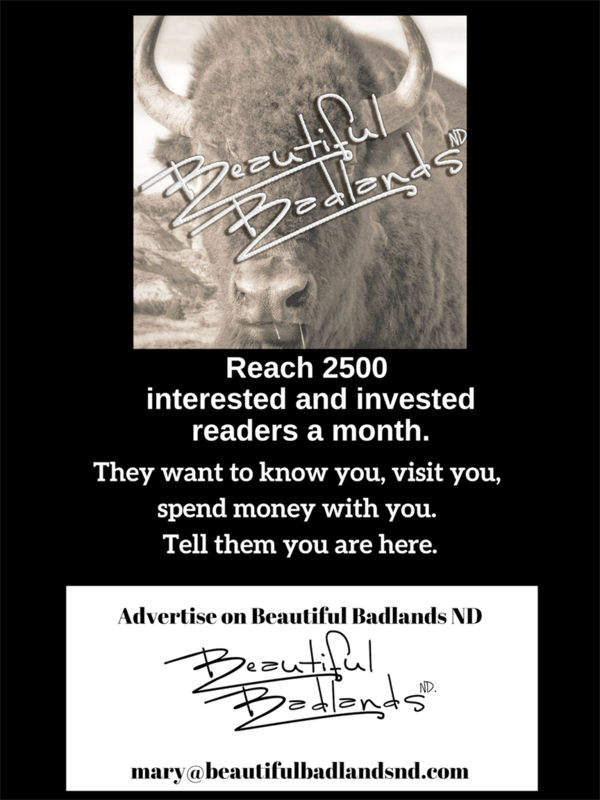 Want to know when the latest North Dakota Badlands story is posted? Add your email address at the top of the page and you’ll get a notice when a new story is posted.